Sometimes it’s the small things that can make a world of difference, so it’s no wonder various life hacks are circulating the internet. There are many dog-friendly hacks that can help you work smarter (and less expensive!) and not harder. Check out these incredibly clever dog life hacks to help make life with your pup easier. Having one of these versatile clips on your leash will come in handy more often than you might think. Use it to clip your keys to the leash or clip the leash to your belt loop for hands-free walking. You can also clip multiple leashes together, or use the carabiner to secure your dog’s leash to a table or post when you’re in public. Eating too much too fast is dangerous for dogs. Scarfing down food increases the probability of swallowing whole pieces of kibble which poses a choking hazard. Plus, fast eating dogs tend to swallow air with their food, which fills up the stomach and can lead to a life-threatening condition called bloat. Fortunately, there are a few ways to easily slow down your chowhound. 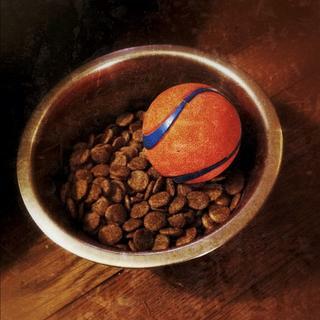 Place a tennis ball in your dog’s food bowl with the kibble to create an obstacle, or spread his meal across all the cups in a muffin tin. For an extra challenge, put a tennis ball in each muffin tin cup to cover the kibble. If your furniture and upholstery are covered in dog hair, you can try this easy trick to remove it. Simply put on a rubber glove and run your hand over the surface – the hair will ball into clumps that you can pick up and toss in the trash. Some suggest slightly dampening the glove, so try both ways to see what works best on your furniture. Getting water in the eyes or ears is not only uncomfortable for your dog, but it poses the threat of the dreaded shake off (take cover!). When rinsing your pup’s neck and chest, you can keep water out of his ears and eyes by temporarily covering them with a shower cap. Some dogs seem to have endless energy. If your dog enjoys a good game of fetch, take him to the top of a hill and throw the ball down. Having to run back up a hill with each retrieval will tire your dog faster, plus you won’t have to throw very hard (thanks, gravity). If your dog enjoys chewing on toys like Nylabones, smear some dog toothpaste on the toy and let your dog chew away. This will help your dog’s teeth stay clean with little effort on your part. Before donating that old sweatshirt you never wear, consider a little DIY project. This handmade dog bed only works for small and medium breeds (sorry, large doggos!) and requires minimal sewing skills. 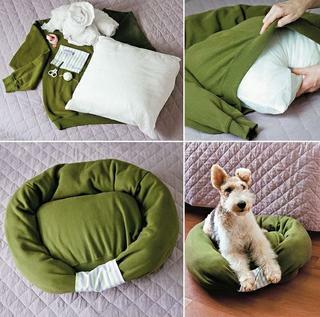 See detailed instructions by Handimania on how to make a sweatshirt dog bed. There are two options to keep small dogs from squeezing between fence posts: one is for the fence and one for your pup. For the fence, purchase chicken wire and staple or zip-tie it to the bottom part of the fence, so your pup can’t fit through but can still enjoy the views. 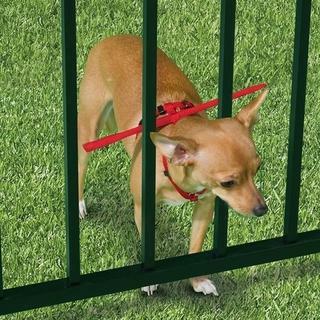 Without making modifications to your fence, you can keep your pup from escaping with a specially designed harness, like the Dog Gamutt. Because we typically wear shoes for a dog walk, it can be easy to forget that the pavement can reach scorching temperatures on a hot summer day. Sadly, our pets’ sensitive paw pads can get burned if temperatures are too high. 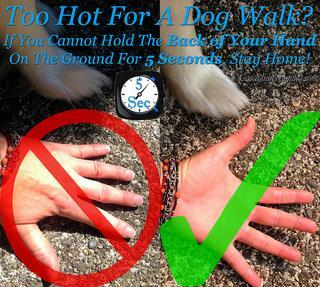 Before taking your dog out, hold the back of your hand to the pavement for 5 seconds to test the temperature. If it’s too hot for you, it’s too hot for your dog. 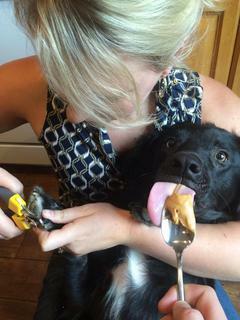 For dogs that hate having their nails cut or are finicky during bath time, peanut butter can be an invaluable tool. During nail trims, you can employ a helper to offer the peanut butter while you trim, and if you’re solo during bath time, simply smear peanut butter on the shower wall to keep your pup busy.